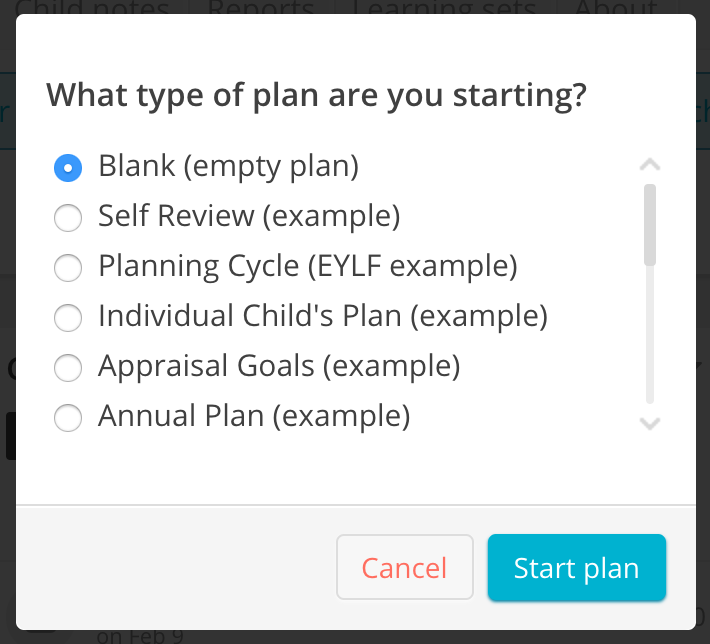 You'll then be asked what kind of plan you wish to start, a blank plan or a plan from one of your templates. 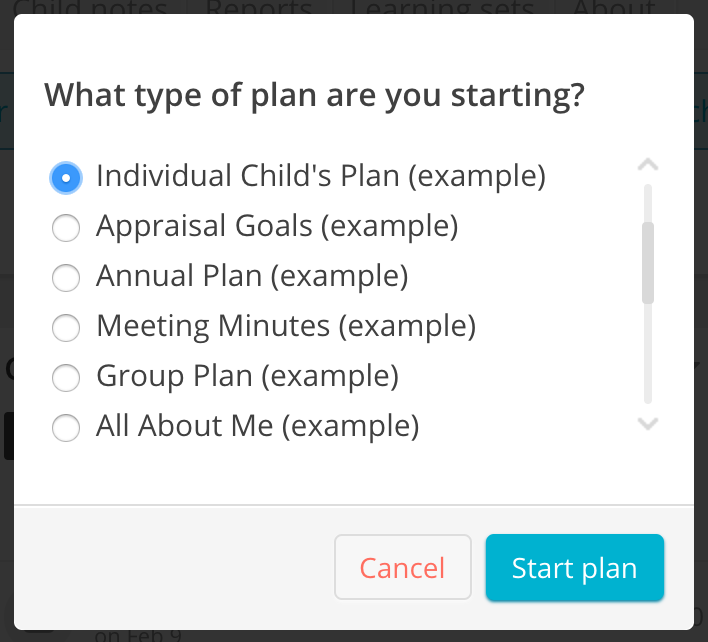 From here you can begin filling out your plan. At any point, you can save it as a template. Learn more about templates. 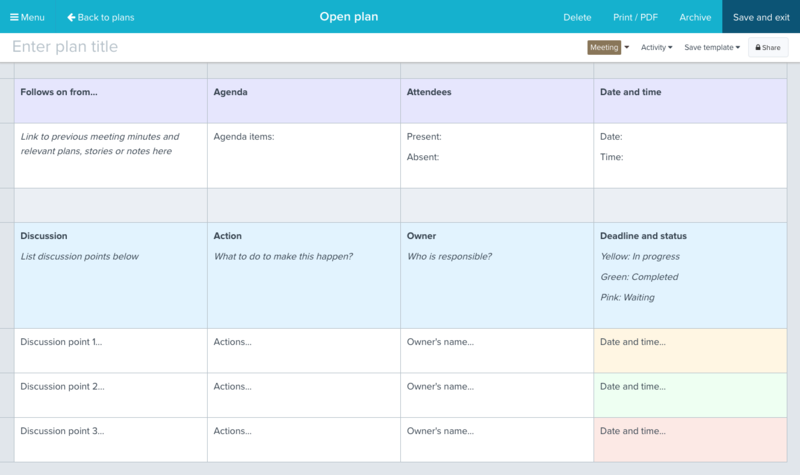 You can create a plan from one of your templates in the same way. 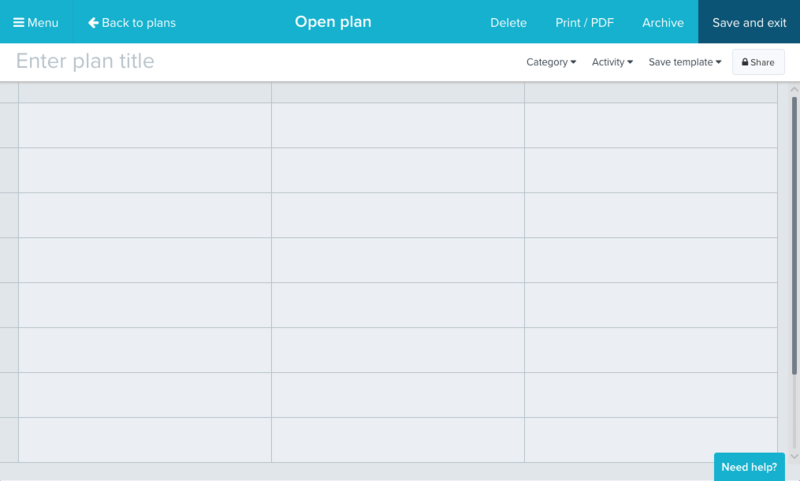 On your Open plans page tap Create a plan and when when asked what kind of plan you wish to start select the name of one of your templates. From here you can begin filling out your plan. When you save your plan, it will save it to the group that you started it in. If you started it in your service's planning area you will see your saved plan listed here. If you started it within a room, you will see it in your room plans list.